Male students are up to 50% more likely to apply to prestigious Ivy League or Russell Group universities as their female counterparts, according to new research from university and careers guidance platform, BridgeU. 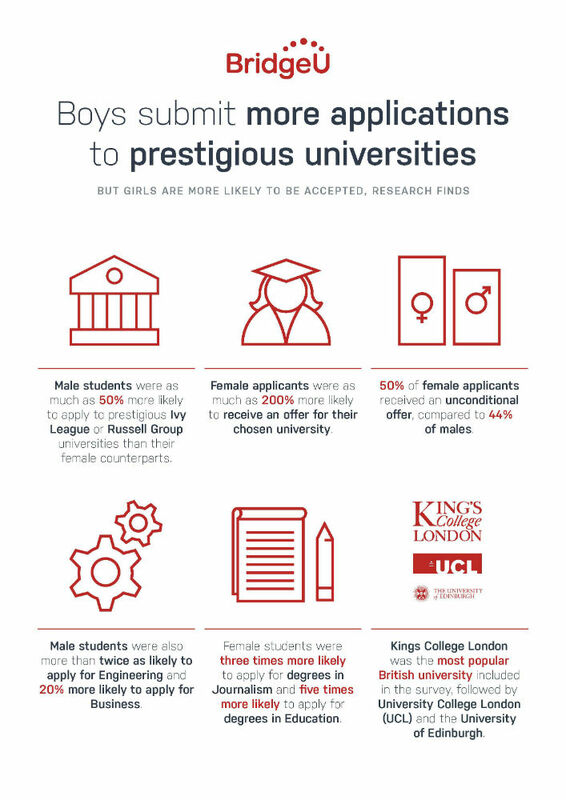 The research, which reviewed 21,949 university applications from global IB students during the 2017-18 academic year, also revealed that female applicants are as much as 200% more likely to receive an offer from their chosen university, compared to their male peers. When analysing application success rates in more detail, the research showed 50% of female applicants received an unconditional offer, compared to 44% of males. 24% of male applicants were rejected compared to 18% of females. 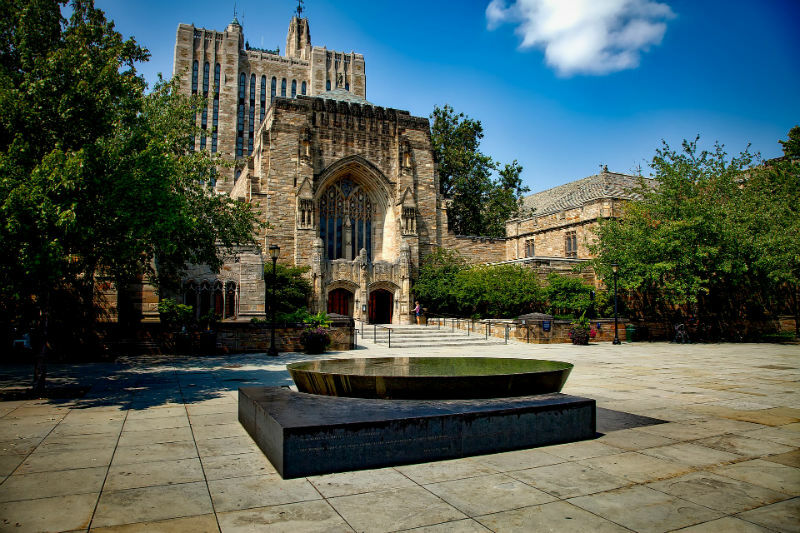 At Princeton, female students in the 2017/2018 cohort were twice as likely to receive an offer from the university, where male students were far more likely to apply for a place.